Ole Gunnar Solskjaer has made the best possible start to his interim managerial career at Manchester United, having won all the 8 games he has managed so far. The Norwegian has got the entire team playing impressive attacking football yet again, whilst also bringing the squad closer together in the process. Further, the 45-year-old’s man-management skills also seem to have convinced several players to extend their stays at Old Trafford, with recent reports claiming the likes of Anthony Martial and David De Gea are ready to pen down brand new contracts. 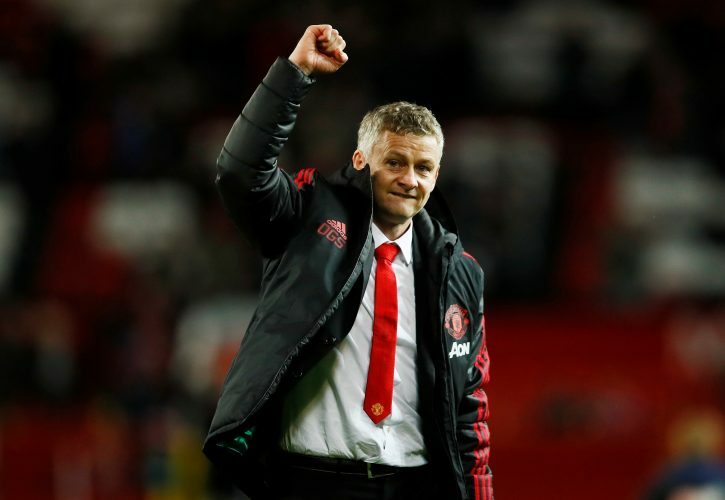 Amid such success, there is a growing belief amongst the club’s players and staff that Solskjaer will be handed the full-time job sooner rather than later. However, if the latest update from Mirror is to be believed, the top officials at Manchester United will be making no decisions regarding the permanent position anytime soon. Club CEO Ed Woodward and the rest of the hierarchy intends to wait until the end of the season, as they believe they will get a clearer picture of things after some months, and not weeks. Moreover, while Ole has certainly impressed the higher-ups at the Theatre of Dreams, Spurs boss Mauricio Pochettino remains in the contention for the job, in spite of Tottenham’s recent setbacks. Manchester United‘s owners are content at playing the waiting game for the meantime, whilst everyone associated with the club continues to enjoy the wave of positive energy brought in by their very own legendary super-sub.